If you or a loved one have suffered physical injury as a result of someone else’s negligence, Shelton Davis, PLLC can help. We have the ability, experience, and insight to execute the most complex cases. Hundreds of millions have been recovered as a result of our advocacy, and, we obtained one of the largest verdicts in America in 2007. We are here to assist you whether you or a loved one has been injured by a dangerous drug, a defective medical device, a dangerous product, or a negligent driver. We know that there is no one-size-fits-all approach to personal injury law. For that reason, every client receives the individualized representation they deserve. We take the time to listen to your needs, develop your case, and advise you on all possible case outcomes. Don’t let concerns about the cost of an experienced lawyer keep you from taking the right steps to protect your rights. Our lawyers will evaluate your claim at no cost to you and we will not charge any fees unless and until we get compensation for your injuries. Our trusted legal team would like to hear more about your potential case. Contact us online, or call (601) 228-3166. Shelton Davis, PLLC vigorously stands up for victims harmed by corporate negligence. Our attorneys are here to assist you in any type pf personal injury case. We're here and ready to listen. Let us counsel you through the next steps of your personal injury case. 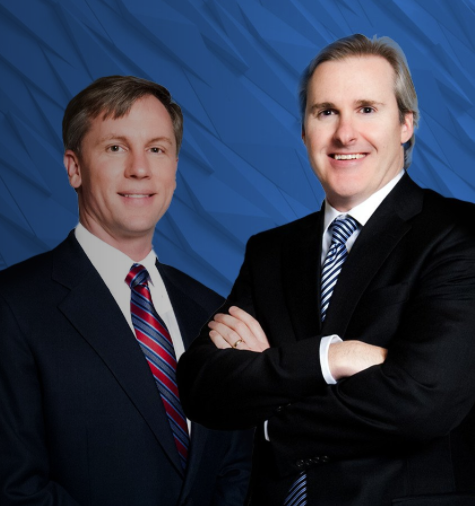 Rick and David have been working together to help victims of corporate negligence for over 13 years. They are committed to serving their clients' needs. At Shelton Davis, PLLC, we know that there is no one-size-fits-all approach to personal injury law. For that reason, every client receives the individualized representation deserved. We take the time to grasp available case evidence to advise you on all possible case outcomes. Our team remains accessible to address our clients' questions and concerns. Why Turn to Shelton Davis, PLLC? Shelton Davis, PLLC has a strong track record for favorable settlements and verdicts. Our firm is always prepared for trial in case the need for one emerges. We are prepared to handle any personal injury matter you have. There is no charge to discuss your case. Jul 02, 2017 Will Opioid Litigation Be the Next Tobacco Litigation?